You may or may not have noticed that I recently created some artwork of an ANA (All Nippon Airways) 787-8 in the 787 launch colors. 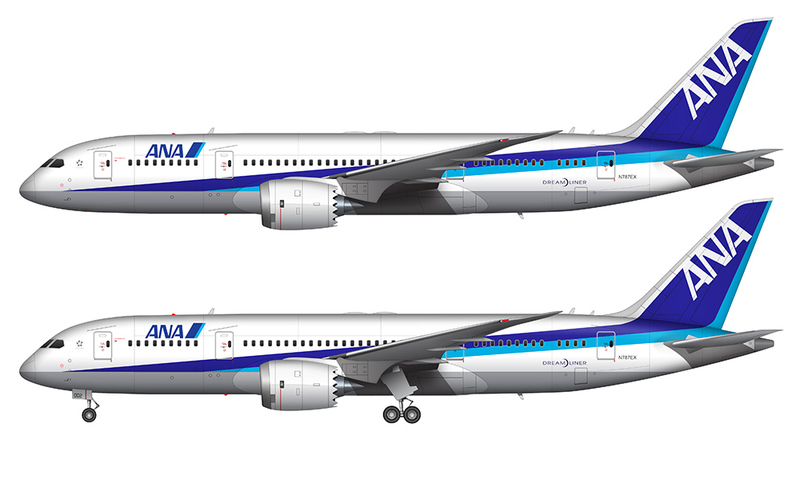 That one is ANA’s special livery for all but two of their 787′s, both of which are wearing yet a another special livery. So I guess that would be called a “special special” livery? It makes my head hurt just thinking about it. To make matters even more confusing is the livery depicted in the illustrations above. This is how Boeing originally painted these ANA 787′s before delivery. Since ANA was the launch customer for the type, Boeing had to do a lot of final testing before finally handing the keys over (figuratively, not literally) to ANA. These aircraft, while considered “experimental”, were ultimately delivered as brand new aircraft to the Japanese airline. It’s basically a standard All Nippon Airways livery with a few special markings on the forward section of the fuselage aft of the forward boarding door. 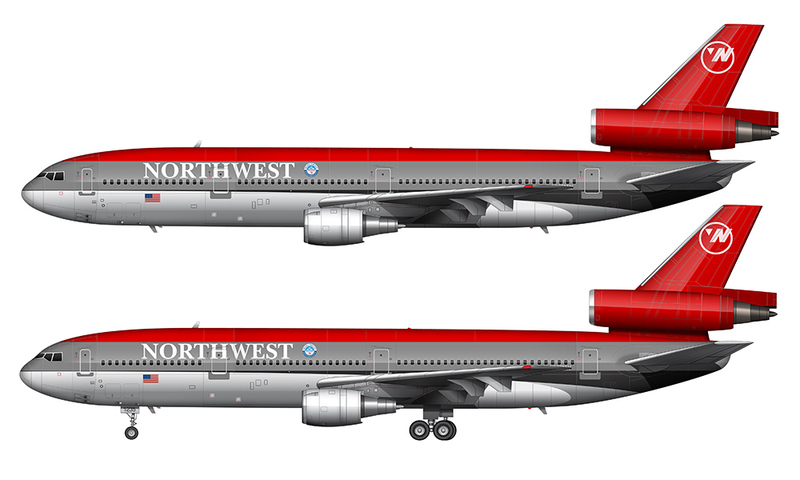 But still – no aircraft were delivered to the airline in these colors as they were modified/repainted into one of the two special liveries mentioned above. Hopefully all of this makes sense. As I mentioned in that other ANA post, I’m going to try and create an illustration of that 3rd ANA 787 livery just so I have the complete set. Keep an eye out for that soon.